Sama-sama Sa Lund (SSL) and Lunds Kommun present: INTEGRATIONSDAG 2015! We want to invite EVERYONE for a whole day of fun, educational integration-related activities, as part of the ongoing Integration Project of Sama-sama Sa Lund. 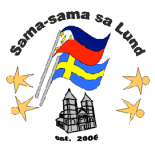 We are a Filipino-Swedish organization established as a community association for Filipinos and Swedes living in Lund and its vicinity. But we don’t care where you’re from, really… as long as you’re HERE, then you are welcome to join our activities for the Integrationsdag! 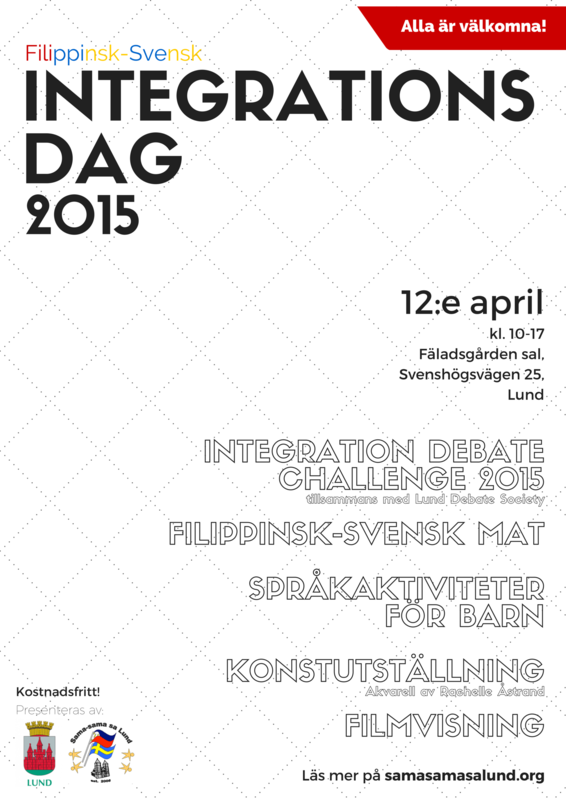 Integration Debate Challenge 2015: In cooperation with the Lund Debate Society. Watch the live debate finals about important and current issues on integration. For more information on the Lund Debate Society, please click here. Filipino-Swedish cooking demos: Come with a hungry stomach and a curious mind and join us as we cook Swedish and Filipino dishes, and attempt to create a fusion of two quite different cuisines. If you want to learn more about our past cooking demos, click look at our past blog posts like this and this. Film viewing: Films and programs will be shown during the whole day, both for kids and adults. Schedule and titles will be posted soon! Games and language activities for kids: There is something for everybody, even the little ones! Time: 10:00 – 17:00. Detailed, hourly schedule will be posted soon! (Right in front of Lund Fäladstorget bus stop which is reachable by Bus 2, and a few minutes walk from Lund Magistratsvägen which is reachable by Bus 4). Entrance and participation in all activities is free of charge. We will serve some snacks, too! Please come with your kids, parents, friends… this is an event for the whole family, after all! By the way, have you LIKED our Facebook page yet? Click here! This entry was posted on March 18, 2015 by Sama-sama Sa Lund in Events, Integration and tagged filippinsk, integration, Lund, Lunds Kommun, Skane, Swede.